On 19 March, FIA Region I demonstrated mileage fraud to audience of MEPs, Council representatives and European Commission officials. 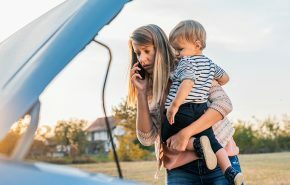 The event, Mileage fraud: the everyday scam that could be affecting you, aimed to raise awareness of this common crime and also provide possible solutions to policy makers to protect consumers from this virtually invisible crime. Policy makers react to mileage fraud from FIA Region I on Vimeo. Mileage fraud takes place when a vehicle’s odometer has been tampered with to lower the number of kilometres a car has been driven. The crime of mileage fraud affects the public at large, by artificially elevating the cost of used vehicles, sometimes by thousands of Euros. It is a crime that is also estimated to affect up to 40% of used cars in Europe. Devices that can perform mileage fraud are available for purchase online for as little as 150 EUR and do not require special technical expertise. As fighting mileage fraud in one country often ends up shifting the problem to neighbouring countries, an international solution must be found. Guest speaker MEP Mathieu Grosch spoke about how he was, personally, very interested in finding a solution to mileage fraud due to the high number of trans-border used car sales in Europe. Although there is protection by the CAR PASS kilometre registration at each technical inspection in Belgium, this protection does not extend to vehicles purchased in neighbouring countries. This means that mileage fraud can still affect consumers even in countries where there are no systems in place to protect users. Implementing a system similar to CAR PASS at the European level, he feels, is a first step to oblige sellers of used cars to verify the mileage of their vehicles. After demonstrating the ease of mileage fraud on a simulator, he presented a video made by the FIA of the public reacting to mileage fraud in an event held in front of the European Parliament in Brussels. The public reacts to mileage fraud from FIA Region I on Vimeo. He further shared the policy animation that has been developed to explain the topic of mileage fraud and give more details on how it can effectively be tackled. 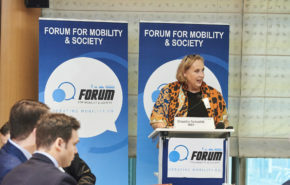 Representing the European Commission, Walter Nissler from the Road Safety Unit, DG Mobility and Transport, commented that the Roadworthiness Package addresses mileage fraud, making it illegal in all Member States and necessitating the registration of car mileage data in national databases. However, the Commission is only at the phase of examining the possibility of exchanging this information across borders. 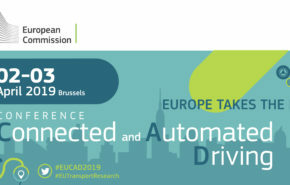 Dr. Reinhard Kolke Director Test and Technical Affairs, ADAC, spoke about the technology that could be implemented in vehicles to protect against odometer fraud, similar to the chip and pin technology as found in bank or credit cards. However, as vehicle manufacturers are not the victims of mileage fraud, there is little incentive for them to implement this fix without legislative support. Following the debate, participants were invited to try mileage fraud on four vehicles, a KIA Creed, Opel Moka, Volkswagen Golf and Audi Q5.